In this video you'll find out which are the best campaigns to run for Facebook Ads to increase your income. Conversions: Go for the likes, as this is your main goal. Focus on getting them like your content, your page. Engagement: Build an audience faster using videos. Those conversions that you got will engage faster with videos. Retargeting: Use traffic, at this step, to do retargeting and send them to your page. So, I suggest you to give a try to these campaigns and test their results. I'm sure you'll increase your income considerably. Also read the top 3 Facebook Ad Campaigns for retargeting. way, you can do this if you go to facebook.com. And then you search on the search bar, you search for digital marketing strategies for entrepreneurs, and it's something that you can do, and you can also go to Hernan Vazquez.com slash Facebook. Okay, so awesome. Alright, so here we go. Good. How are you guys? Today, I wanted to talk about the two or three I would say three type of campaigns that I always always use when it comes to Facebook ads and this game because I was talking yesterday to one of my consulting clients and he was asking me about the he was asking me about the you know, should I run a like campaign? Should I do you know, what, what do I do and if I want to grow a Facebook page from start. Okay, now before dive into that, don't forget to go and get my book. If you want to learn how to do all of this, go ahead and get my book. If you go to perpetual profits.net, you should be able to go ahead and get a book and get my book is $5 and 60 cents, it's inexpensive and it will show you what type of Facebook gets around. But also, we show you what type of funnels to put together if that is something that you want to do, of course. Alright, so coming back to the type of ads that I would suggest you run whatever this is the case, right? There are some people out there saying that you need to see some the pixel that you need to warm it up that you need to actually go ahead and, you know, get data into the pixel. 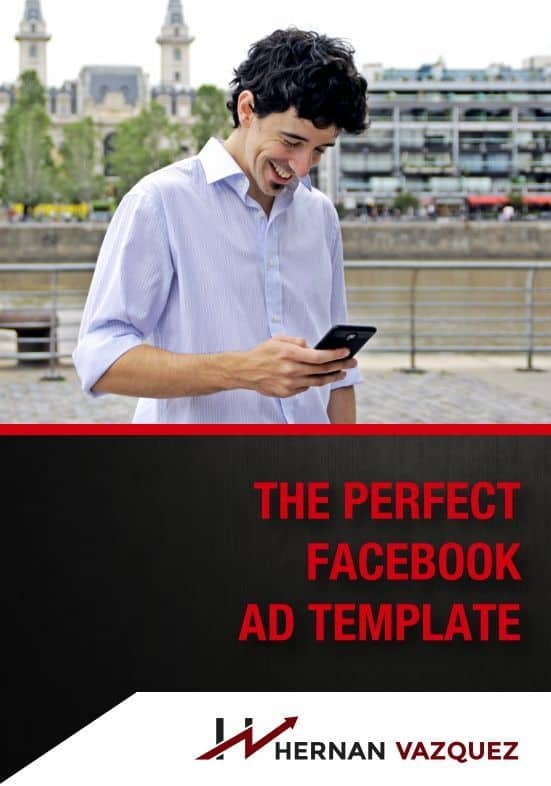 And the reality is that when it comes to Facebook ads, you need to have the end goal in mind. What I mean with this is that if you're looking for conversions for your webinar to down to get booked downloads to get people signed up for your list to the people calling you for a certain strategy session, whatever that is, go ahead and use conversions. Because that's what are you looking for? You're looking for conversions, Okay, that is number one. That is the number one goal that I almost always use, somebody will tell you well, you know, you need to do clicks first or traffic first, and then see what kind of audiences I don't have time for that. And honestly, it's like, I feel like it's showing the money. You know, Australia is throwing your money away. Because Facebook groups people into different tools, so people that click on stuff, they're cliquey and there will be there, click here and there will be like, like, you know, clicking on things. That's why they're more prone to go into a traffic campaign. And in a conversion campaign where people are swiping a credit card, right, and that's exactly what you want. Okay, so conversion is number one, the next campaign that I almost always use, and even further if you want to really build an audience fast is engagement and even further with videos like engagement with video views for Okay, I'm sorry, video views with video ads work, okay. And not would video as that in turn to be a conversion video at but rather a video ad then you're putting out to get engagement that is something that you could do with video views. But in my experience, and after testing a lot, and you know, spending this amount of money on this engagement for video views work, we're really we're really well so if you have Videos that you want to put out, if you are a video producer like I am and you want to put them out there, I strongly suggest that you go ahead and use the engagement campaign to conversion, not the video views conversion, but go ahead and test it right that's the main point of the game that you get to test and you get to say her Nan, you're full of BS. Now you want to test traffic or landing page views, just because those people are writing the conversion pool for Facebook. Okay, plus traffic will get you more reach. But I don't do that. 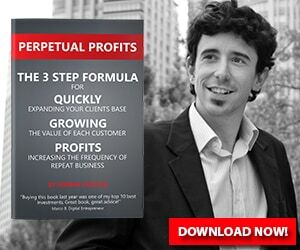 For me to get people into my funnel. I run conversion as to get people into my funnel and then I am retargeting them with traffic and that is something that I suggest you test as well conversions versus traffic to which one works the best for retargeting. so that I can get some social proof. And I completely understand that. But the reality is that when you're doing conversions, you will get likes, people will like your page when you're doing engagement, people will of course engage with your ads and then you can invite them to like your page. So, I think that like campaigns, you know, I just don't use them enough to be worth thing. I think that if you're running commercials, you're making money and you're getting likes, which is cool if you think about it. Alright, so again, guys, if you want to know more about all of this, how to set this all up. I put together a pretty in-depth guide on how to do this. It's called Perpetual Profits. It's a book it's a PDF that you can download instantly. You don't need to wait for the mailman you just go to perpetual profits.net or click the link somewhere around here to do and you can get your copy of this book too. Okay So in any case, I hope this helps you go ahead have a killer we can enjoy with your family working whatever you have to do go ahead and do it. I'll see you guys on the next.